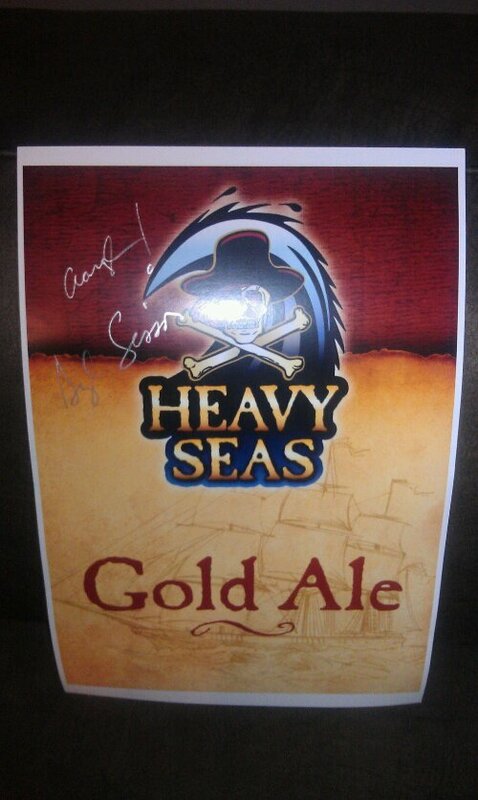 Friday night, I attended the Heavy Seas tasting at Once Upon A Vine South. Heavy Seas founder, Hugh Sission was even in attendance had brought a special firkin of Winter Storm filled with Maryland grown Chinook hops. Both Storms were delicious and I even got a signed poster! A bonus at the tasting were the snacks made using Heavy Seas different beers; you can find a few of those recipes here. It’s only fitting that when I had my first taste of Great Pumpkin, I knew it was destined for the beer waffles I was planning for a scary movie party. Of course, feel free to use your favorite pumpkin beer. Don’t have a favorite yet then there’s still time to get some pumpkin beer at The Camel. In the meantime, here is my recipe for Pumpkin Beer Waffles. Enjoy! Lightly oil the waffle iron with vegetable oil, and set it to the desired temperature. Sift dry ingredients except for brown sugar into large bowl. Add brown sugar and whisk to combine. Separate eggs: yolks go in a medium sized bowl and whites get set aside in a smaller bowl. Add pumpkin, beer, honey, vanilla, and milk to the egg yolks. Whisk to blend and set aside. Whip egg whites with a hand mixer on high until stiff peaks form – about 1 – 2 minutes. Set aside. Pour melted butter into the pumpkin beer mixture. As you pour, whisk to combine. Add the pumpkin mixture to the dry ingredients, and mix them together until just combined. A little lumpiness is fine. That will smooth out when the egg whites are added. Slide the whipped egg whites out of the bowl and onto the mixture you just prepared. Gently fold them in until no white bits are obvious. Once the waffle iron is heated, you’re ready to pour the batter. Cook waffles according to iron instruction.